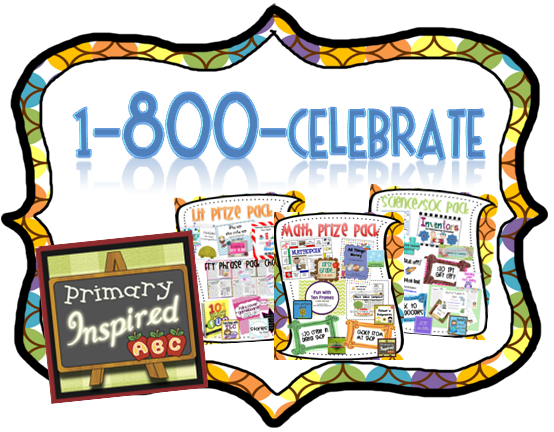 Primary Inspired: My Pinspired Plans (2/18) & Fan-tab-ulous Giveaway! My Pinspired Plans (2/18) & Fan-tab-ulous Giveaway! This week, we're starting of with Presidents' Day. I saw this the other day and snagged it up real quick. How fun! 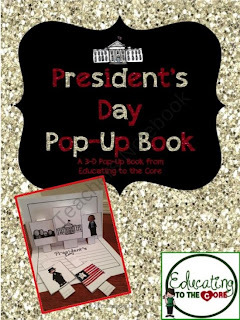 Presidents Day POP UP Books! My kiddos are going to love, love, love making these. I'm telling you, I can't wait to show them what they are going to make! Thanks ever so much to Educating to the Core for designing these awesome books! Then, we have these super cute Presidents Day Word Work Activities to keep us busy, thanks to Falling into First. We're also re-visiting quotation marks. I love the poem on this anchor chart, which comes from the Scholastic book Punctuation Celebration. Thanks to Courtney from Swimming in Second for sharing the poem and the source! I'm linking up with Learning in Wonderland's Pinspired linky party. I'm hosting a fan-tab-ulous stupendous giveaway to celebrate my 800 follower milestone. There are THREE prize packs each worth over $30. That's about $120 total! Make sure you find out more & get your entries in!! Hey Brenda! 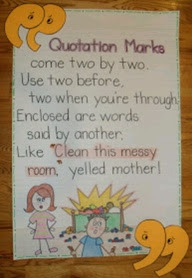 The quotation mark poem came from my blog which someone copied on their blog. It's actually out of a Scholastic book. Thanks, Courtney! I update the info. I hate posting things without credit to the source....thanks for filling me in! I've been looking for something to use for introducing quotation marks. My kids are writing conversations all over their writing and I can't tell where they start or where they end. Thank you for the ideas you found and thank you for linking up! !